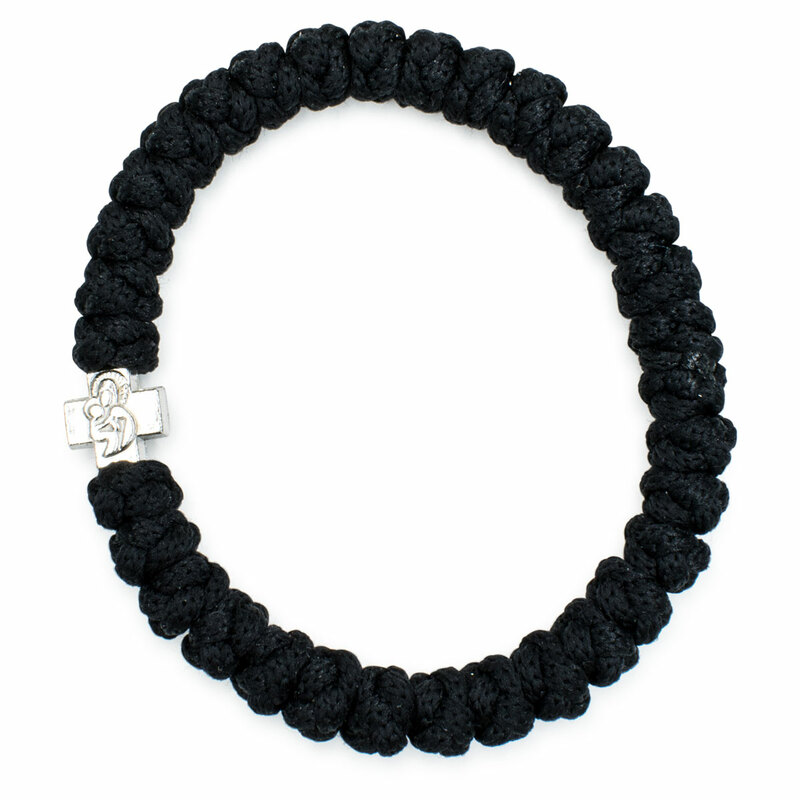 The black Prayer Bracelet, elegant and in traditional color. 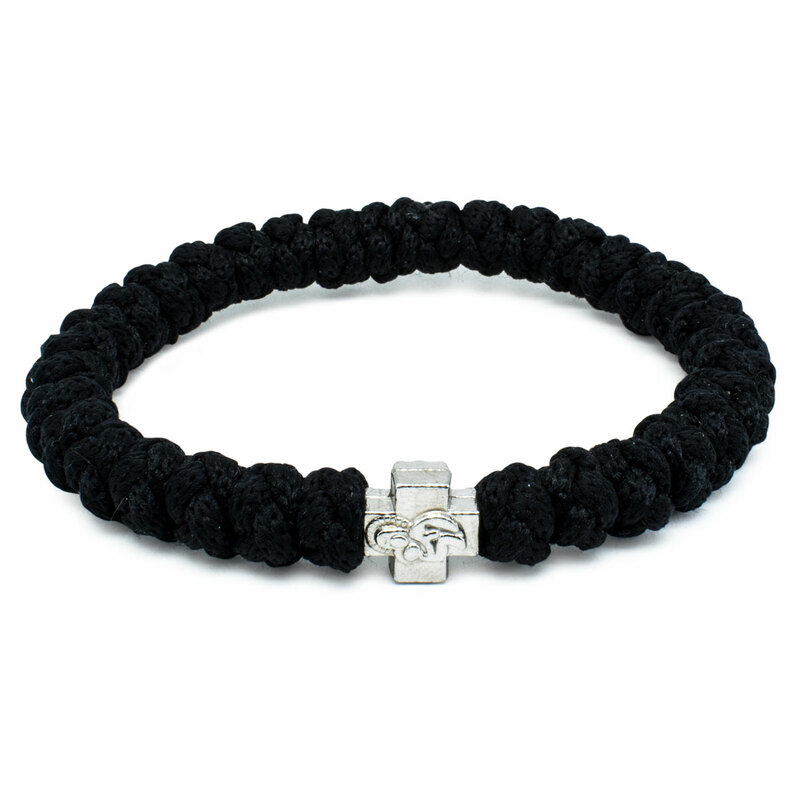 Authentic and handmade black prayer rope bracelet. Black is the traditional color of the prayer rope and also the most popular. 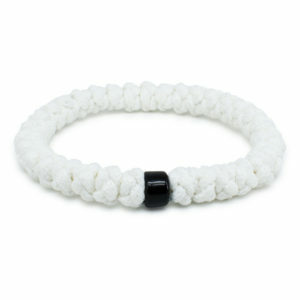 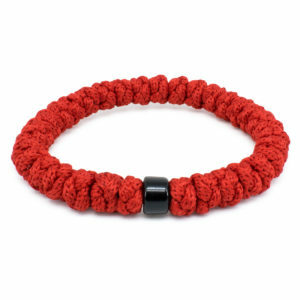 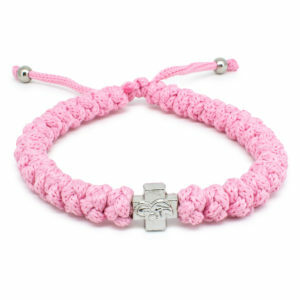 This bracelet is made out of non-allergenic rope and consist of 33 knots and a metal bead. 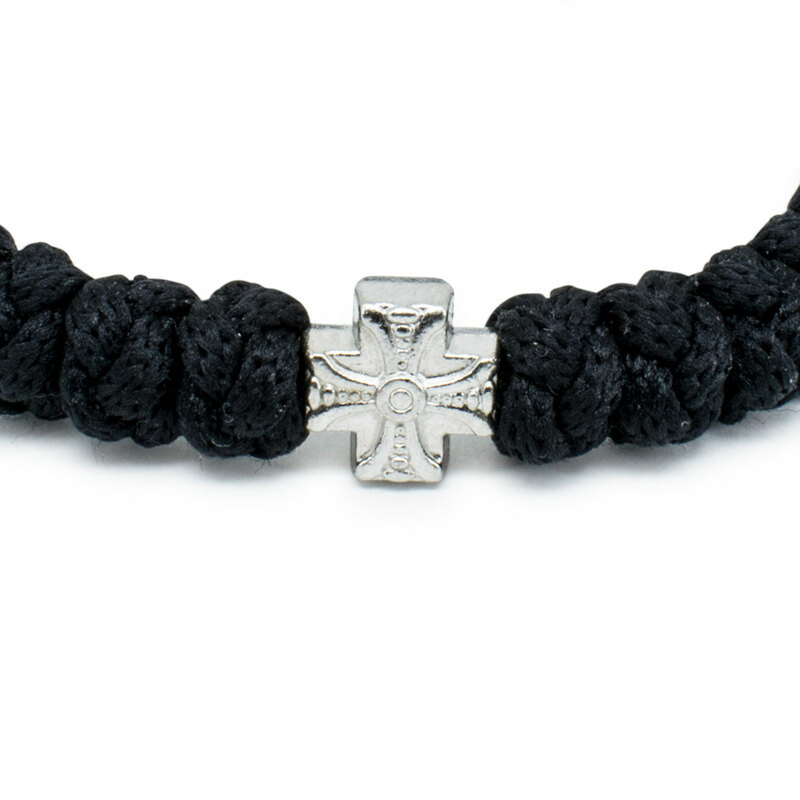 The metal bead has 2 sides, on one side the holy Theotokos (Virgin Mary) and on the other side a decorative cross. 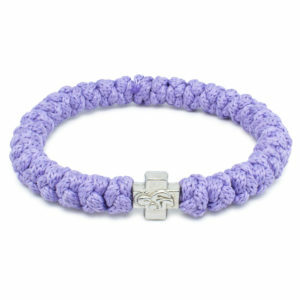 Like every item in our store, this bracelet is authentic and handmade.